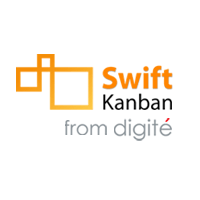 SwiftKanban is a web-based electronic enterprise/portfolio Kanban and visual management app for both co-located and distributed teams and enterprises. Visual Management and Kanban are the latest and one of the best ways of collaboration on a wide variety of technology and business functions. SwiftKanban is available in both SaaS and on-premise models, and comes with a free Team edition as well as Group and Enterprise options. SmartLanes based Swim Lane design that provides powerful workflow mapping capabilities – across multiple work-items, classes of service and many other attributes. This makes it easy for customers to map even the most complex processes easily on the Kanban Board. Large and insightful set of Lean/Kanban-based analytics based on statistical analysis, Monte Carlo simulation, flow analysis and process control. Customers get the benefit of implementing true Lean/ Kanban principles, and the improvements thereof. Easy to use, highly configurable Board Design with several powerful Visualization controls – such as Board Zoom, Aging, Calendar, Change tracking and others. 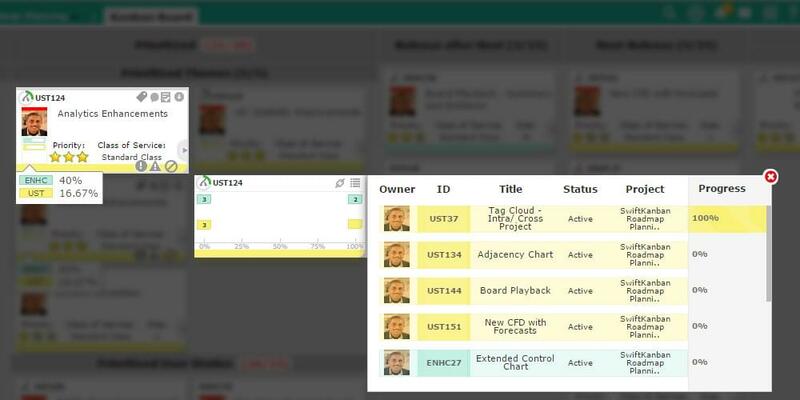 Makes it easy for teams used to physical boards to migrate to an electronic Kanban board and use it effectively for day-to-day work management – including Daily Stand-ups – as well as an effective Information Radiator for all stakeholders. Highly flexible Hierarchy Design for Portfolio and Program level Board design, unlimited levels of hierarchy, many-to-many relationships and child-to-parent progress reporting. Solves a key challenge for customers to scale Agile in the enterprise, provide Agile Portfolio and Program Management – and visibility to executive management of all critical initiatives. Power simulation via the unique Board Playback feature: Teams can watch their “Kanban Movie” and see in real time how their board and workflow performed over the last week/month/quarter or any review time period. Enables them to observe patterns, identify bottlenecks, sources of rework and resource loading. And helps them identify specific improvement opportunities. Not sure if SwiftKanban is the right tool for your team? Check out more options in our Project Management Product Selection Tool, or if you’d prefer, call, click, or email to speak with an unbiased Technology Advisor for a no-cost, no-obligation consultation on your unique requirements. Learn everything you need to know about SwiftKanban. Our experts will reach out to you shortly.